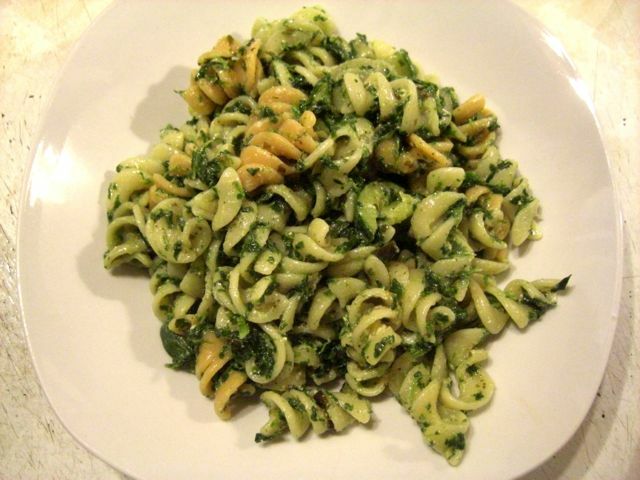 One of our favourite meals is Pesto Pasta. 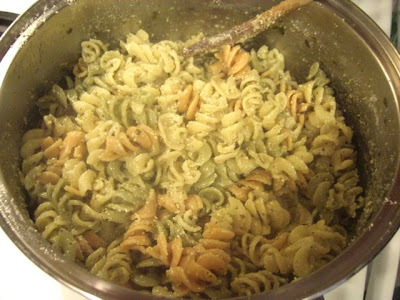 It is quick and easy to make, which makes it great for nights when we don't feel like cooking. It also tastes delicious, so we usually make heaps of it and eat it for days. This is one of the vegetarian meals we eat on our meal plan, and I just love it. 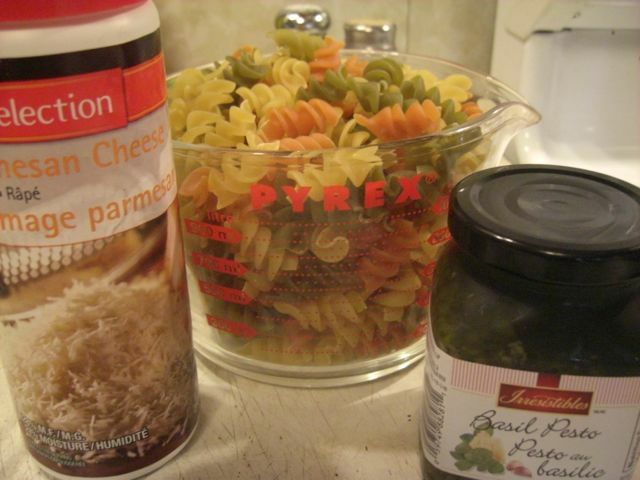 The recipe is super simple. Boil pasta, saute vegetables, and mix everything together with Pesto and Parmesan cheese. So easy! 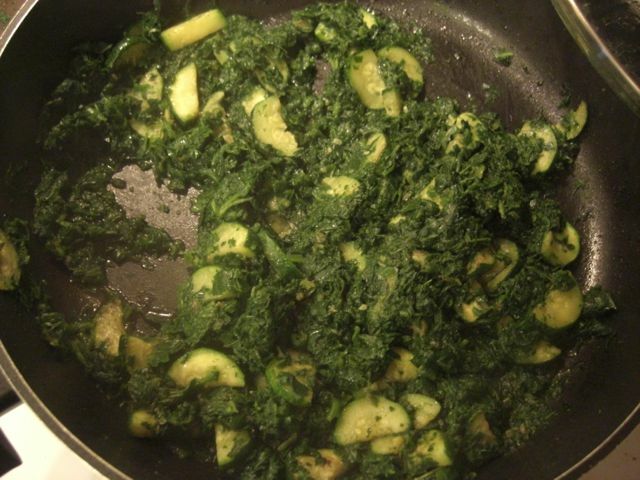 Mix in spinach and zucchini - I love how this meal looks! These are my favorite kinds of meals. 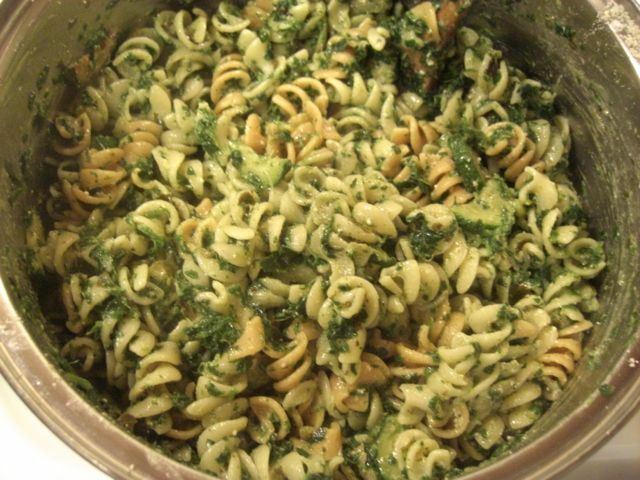 Easy but filling and oh so nummy. PS: Much congrats on the 51% savings. That is super duper cool. Thanks! I love getting deals! Me too. Something great about saving money. Tomorrow morning I have a short trip planned to a store right near home. The plan is to get up and get back early enough to play in the kitchen. Or, maybe work on the office, that needs cleaned.